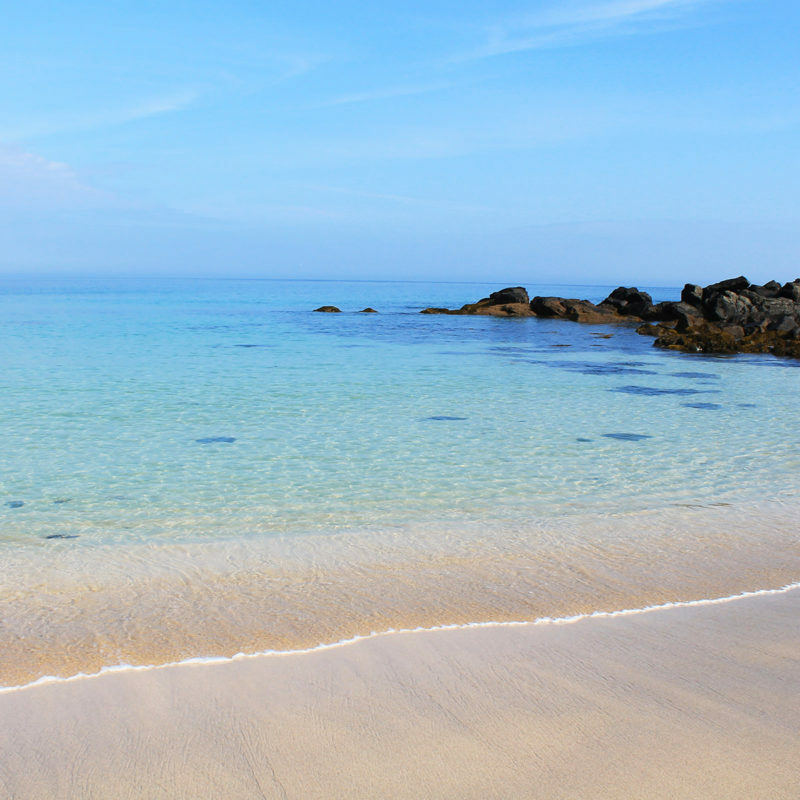 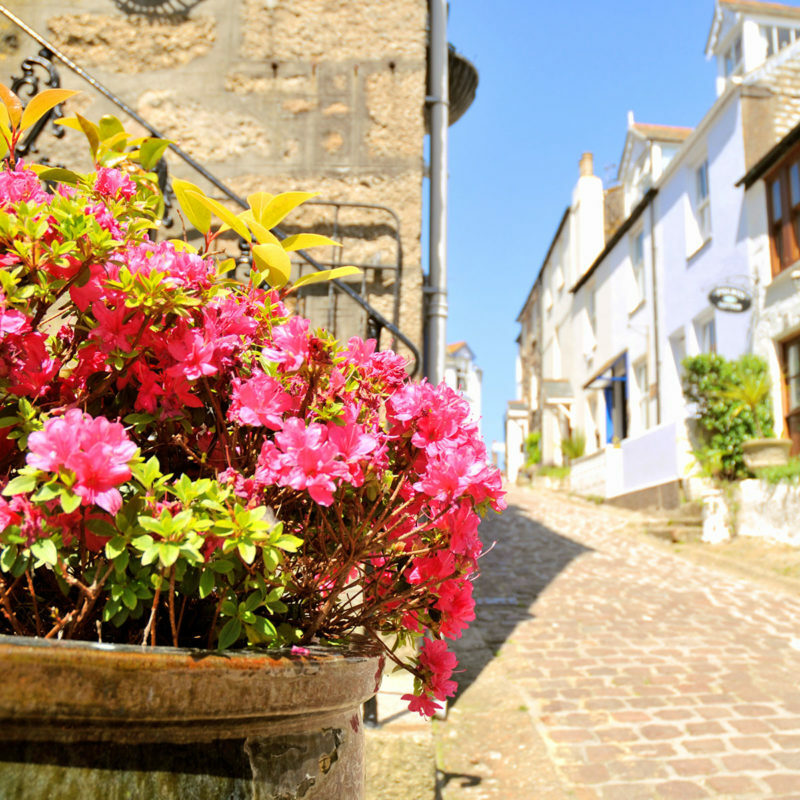 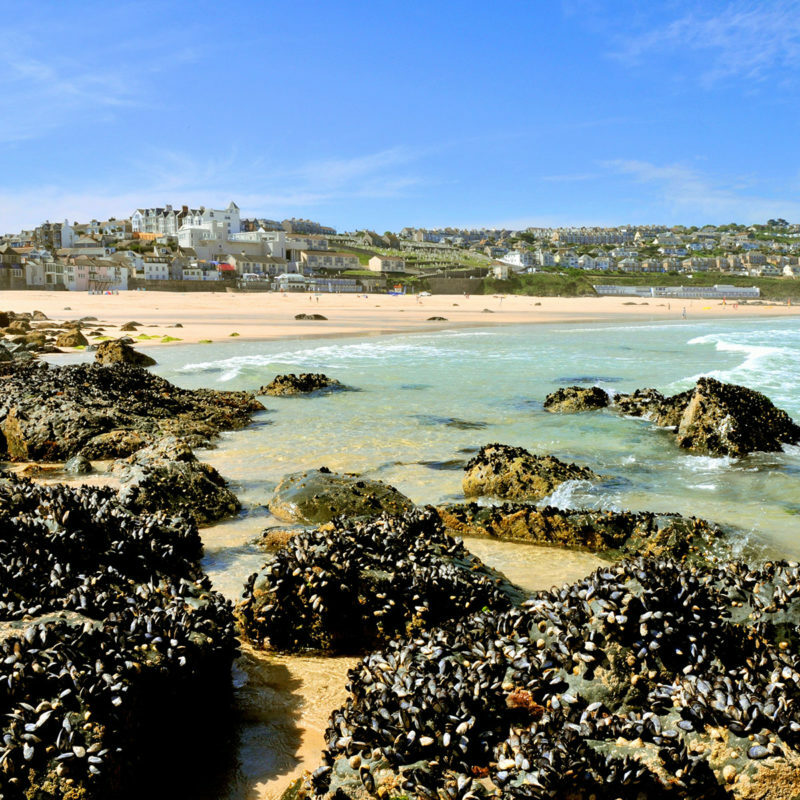 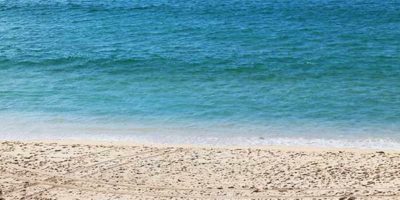 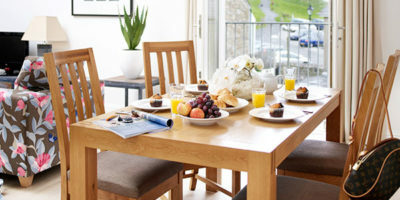 Whether you’re marvelling at the awesome power of the Atlantic’s winter waves or letting the water wash over your toes at the height of summer, there are always new pleasures to discover in St Ives with every changing season. 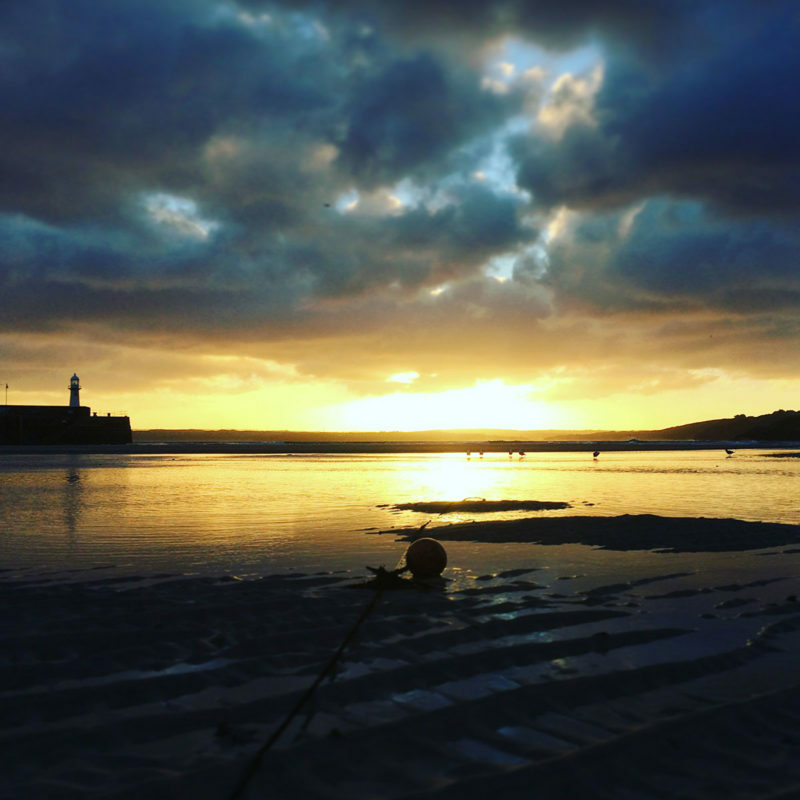 Many of our guests are choosing to visit St Ives in the quieter months when the temperatures are often still mild but the town is more relaxed. 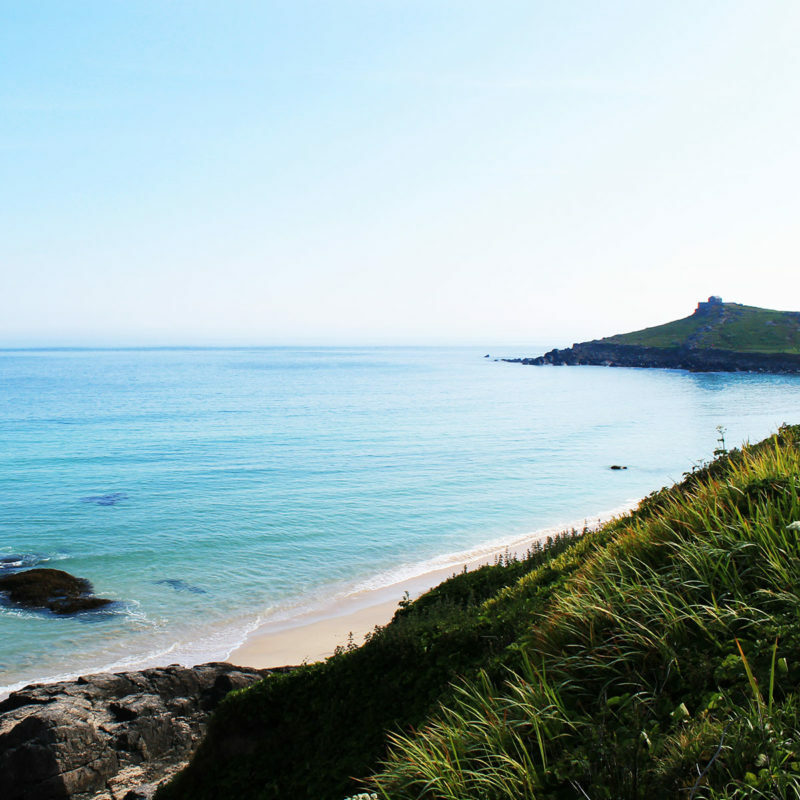 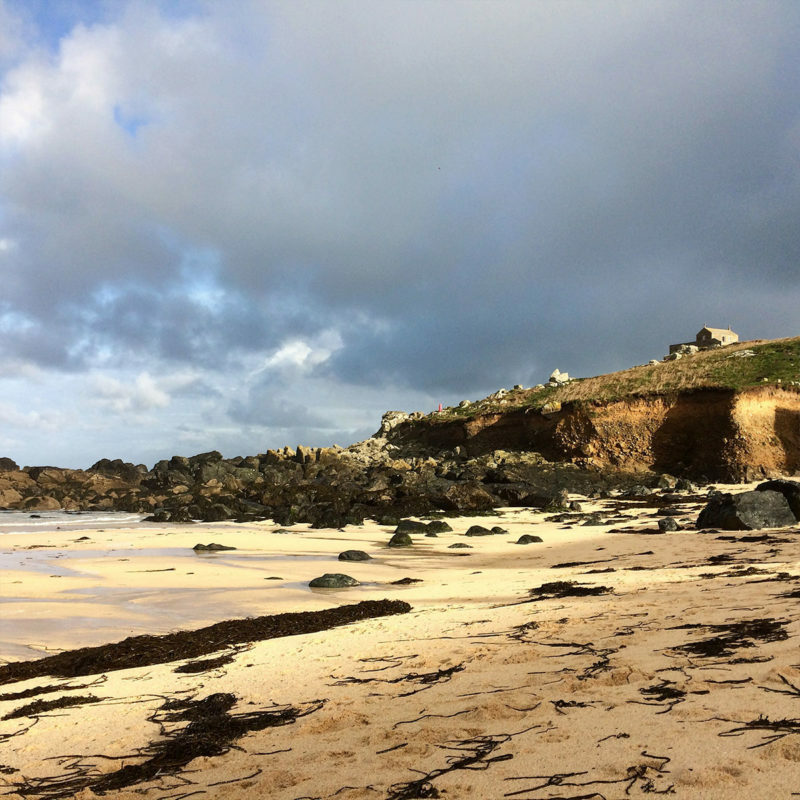 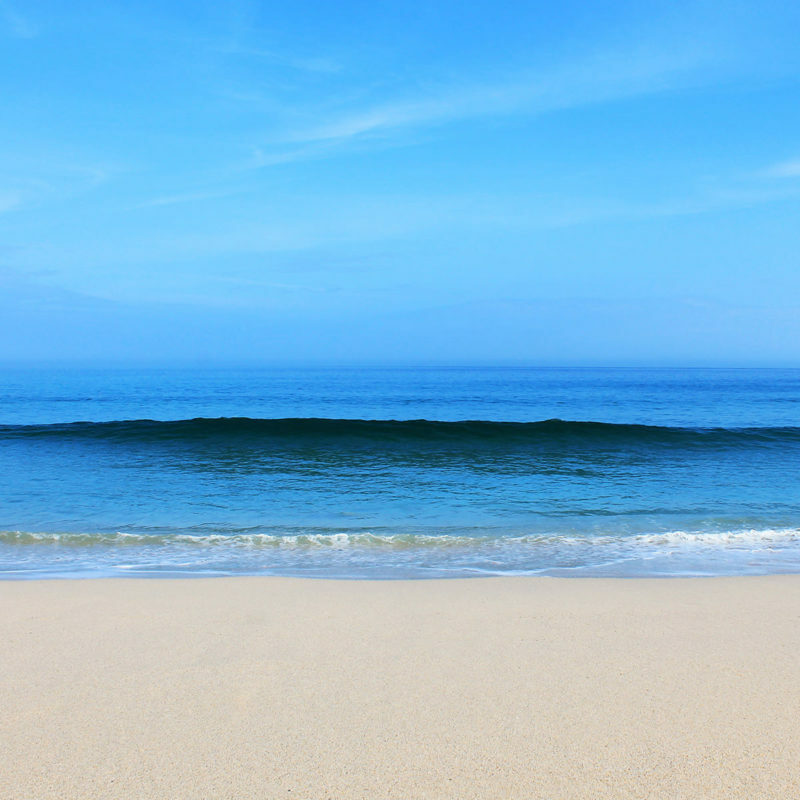 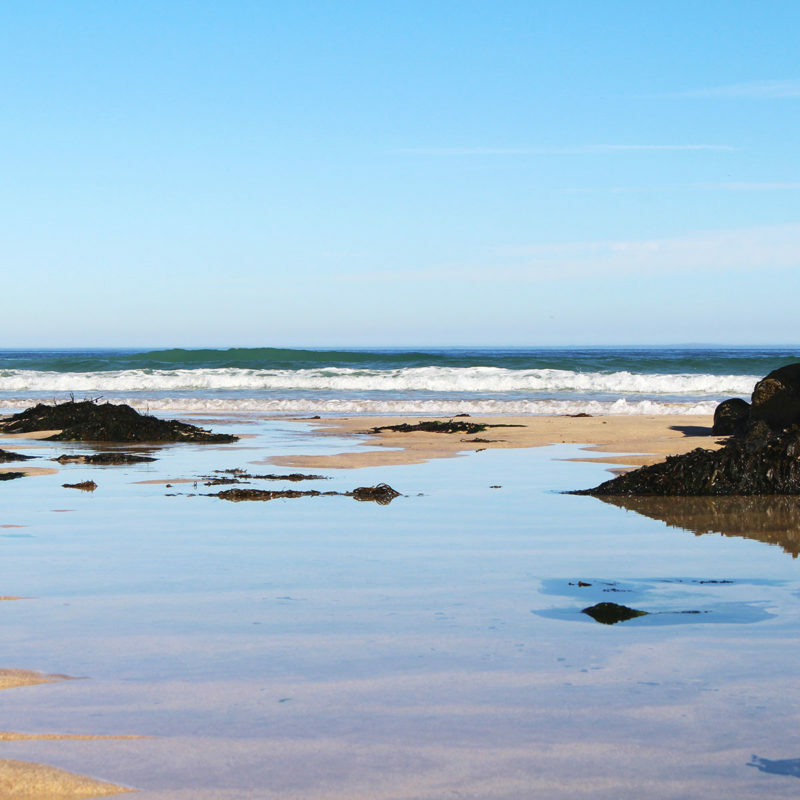 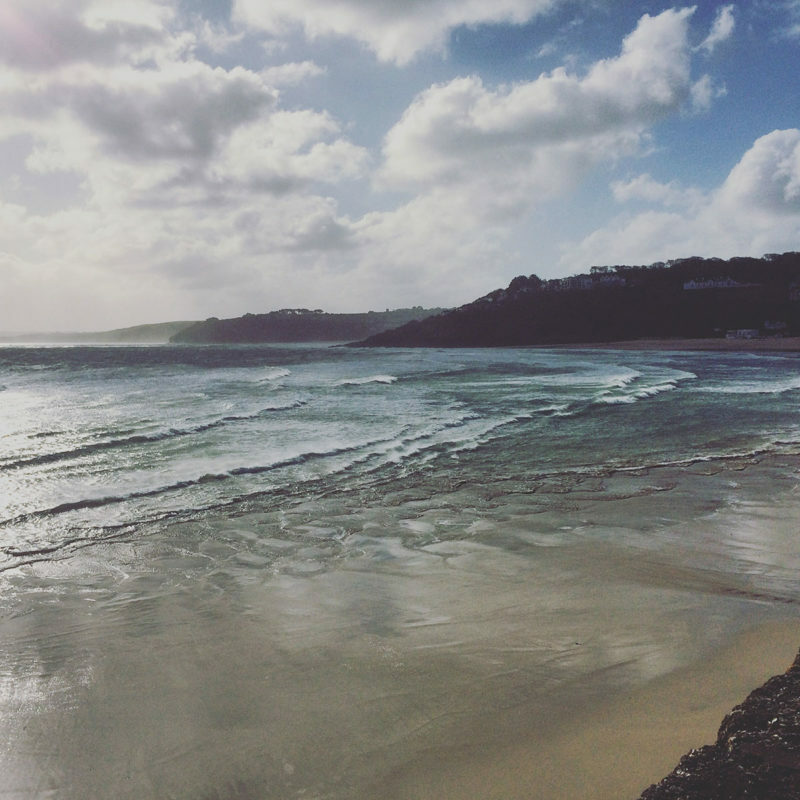 An off-season stay at our luxury self-catering accommodation in St Ives, Cornwall gives you ample opportunity to walk the coastal paths with nothing but the occasional cry of a seagull to interrupt your thoughts, and if you’re lucky you might just get the whole beach to yourself. 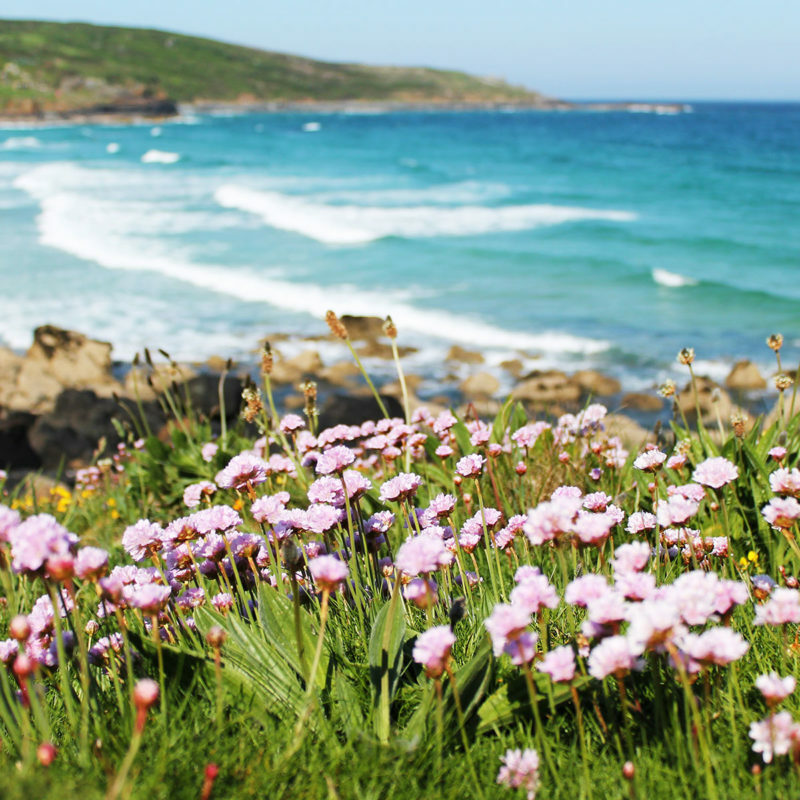 The promise of spring creates a buzz of excitement as the days lengthen and the weather gets warmer. 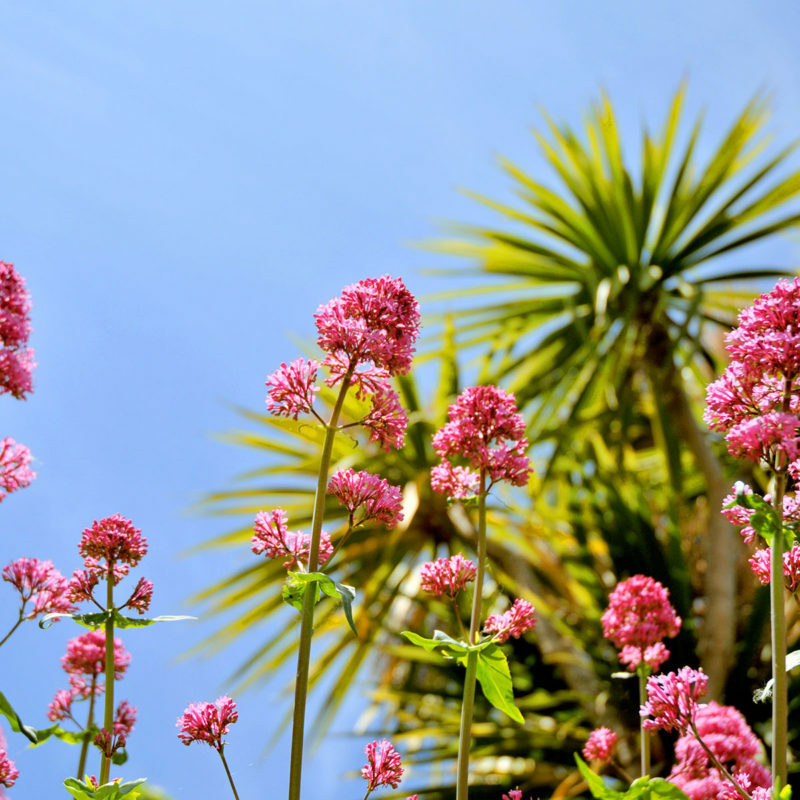 April often brings surprisingly hot and sunny days. 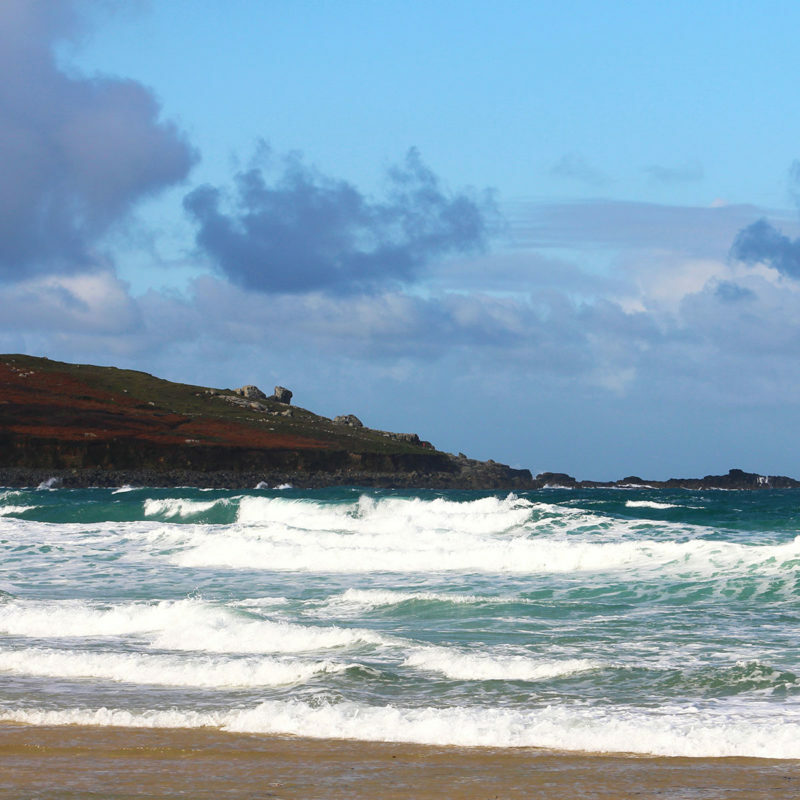 Summer temperatures at this time of year aren’t unusual, although you might still have an opportunity to enjoy a dramatic spring storm rolling in from the Atlantic. 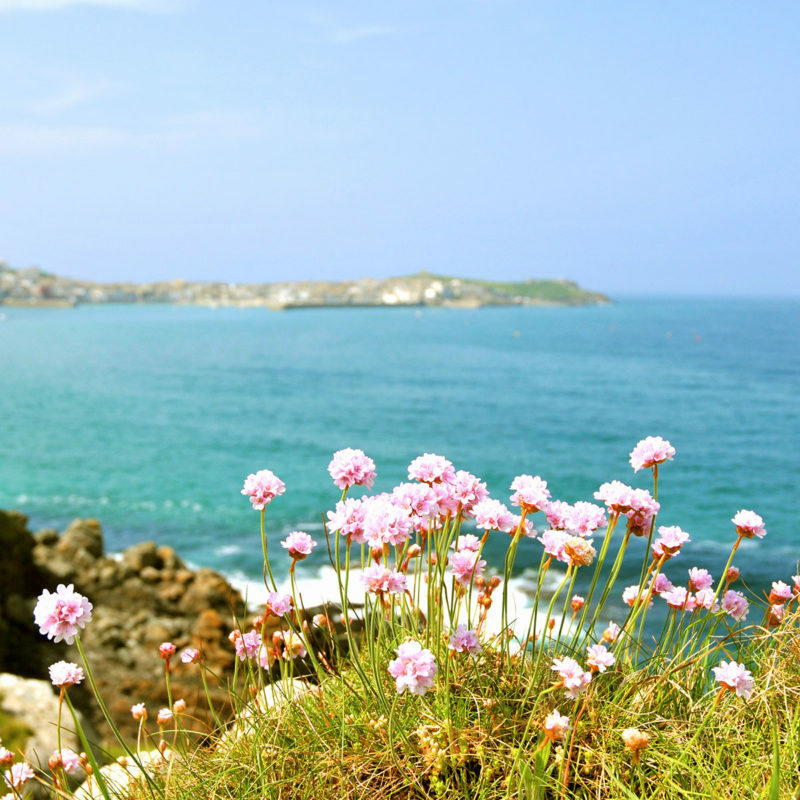 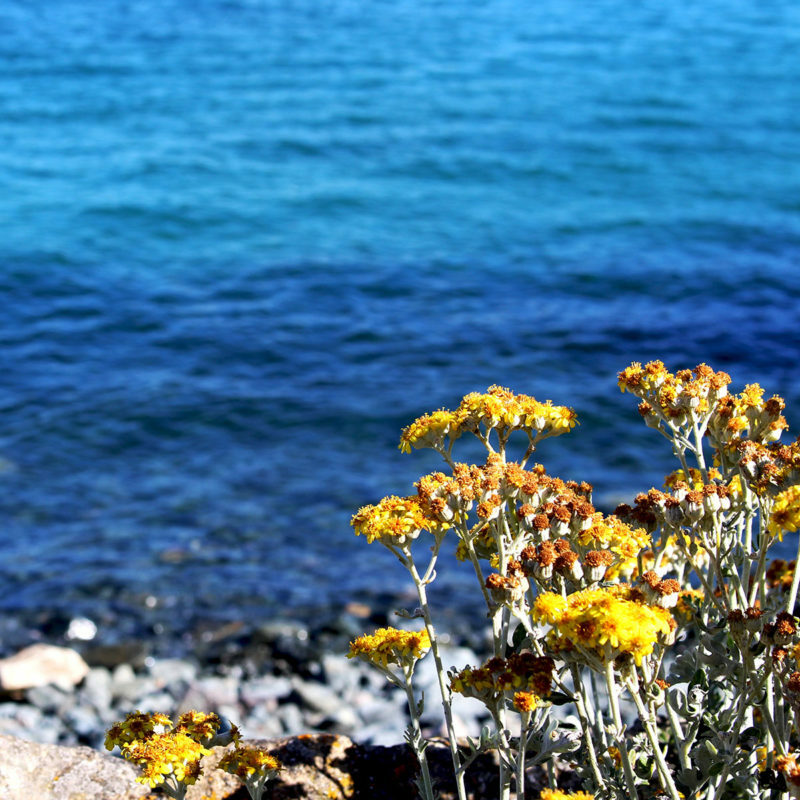 The cliffs are swathed in wild flowers and sub-tropical plants flourish everywhere you look. 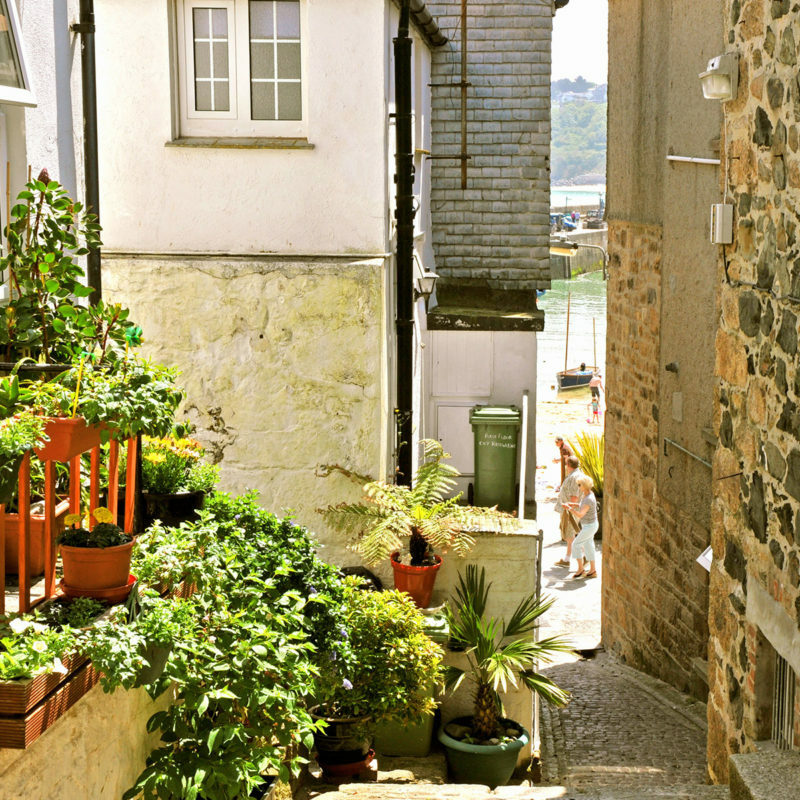 The summer crowds haven’t quite arrived yet, but there’s a lively feel to the town. 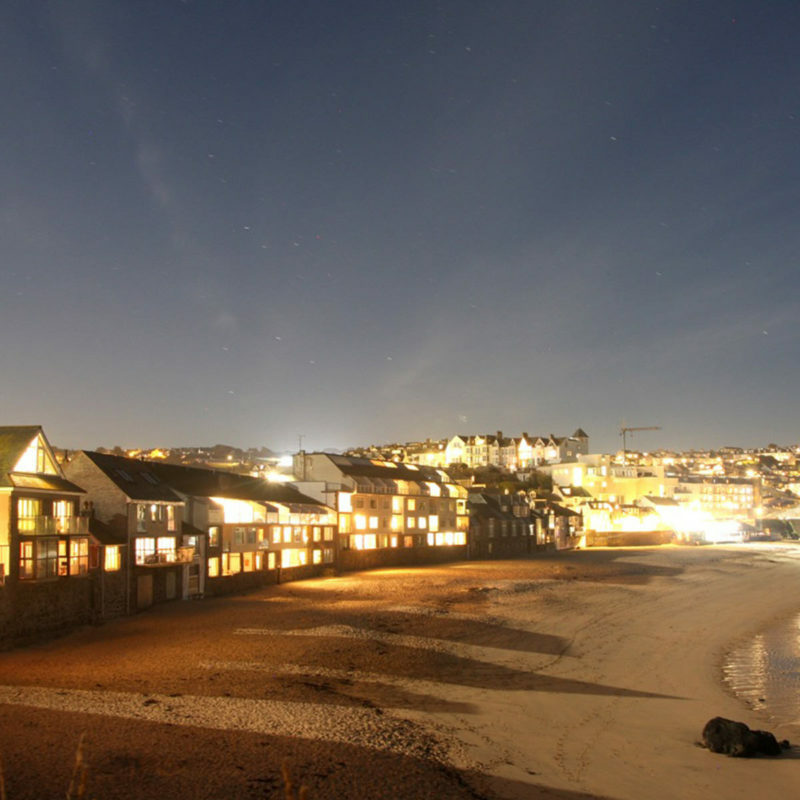 This is a great time to soak up the atmosphere and enjoy the longer evenings at one of the town’s beach cafes or harbour restaurants. 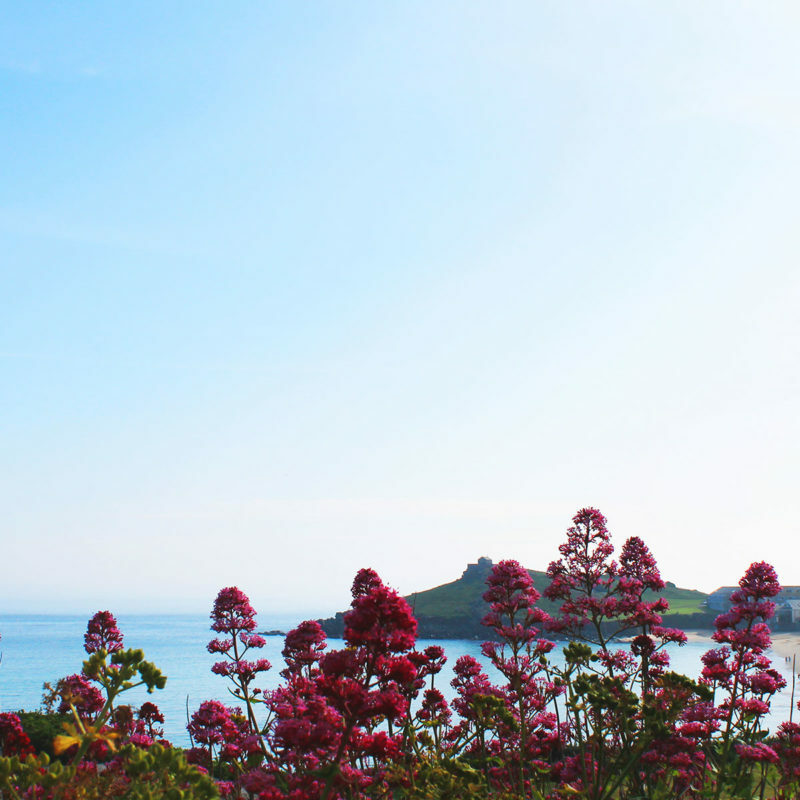 July and August are the busiest and hottest months of the year, but you don’t have to venture far to find a quiet cove or peaceful countryside walk. 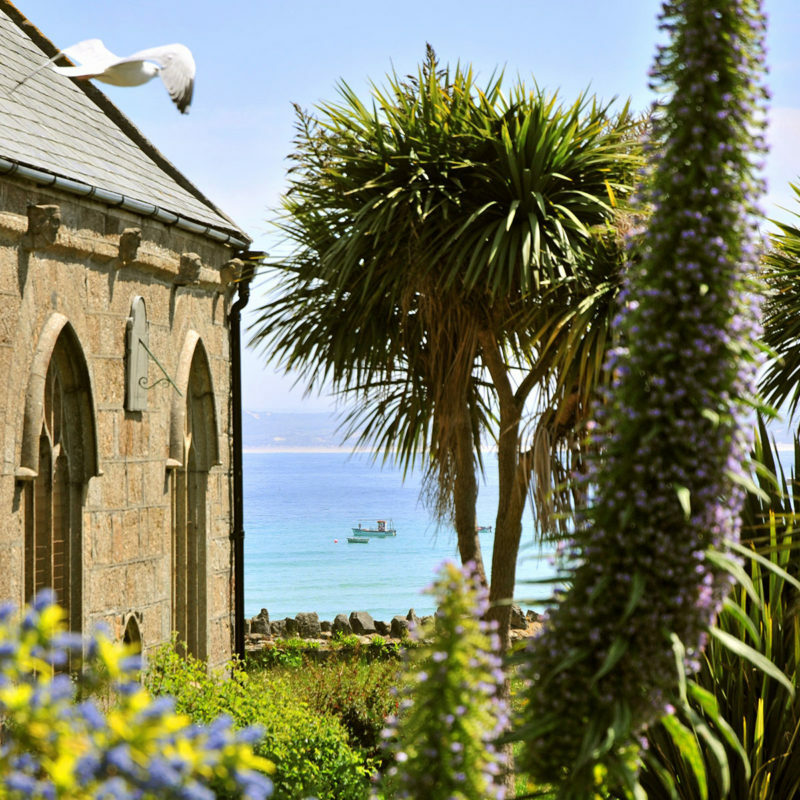 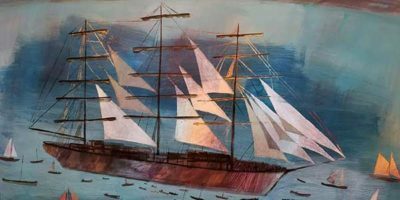 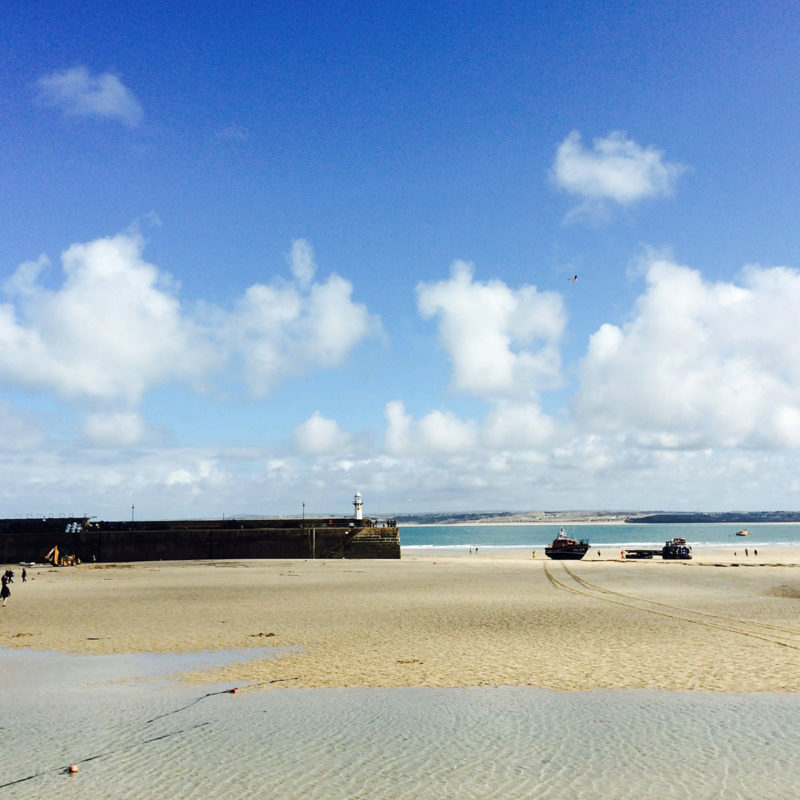 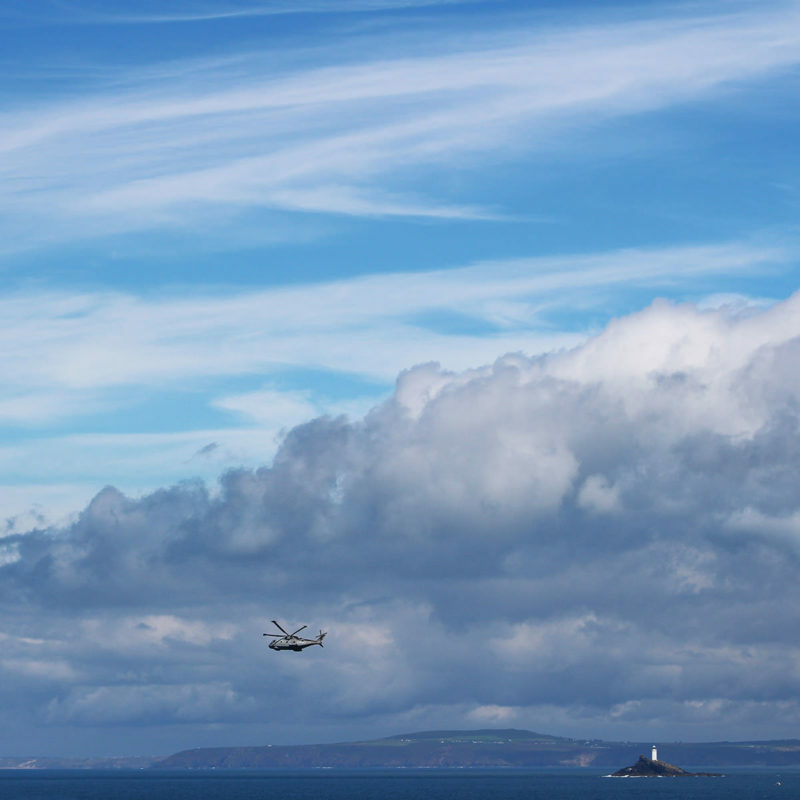 In mid-September, you can join the crowds celebrating the St. Ives September Festival with music, art, theatre and poetry as well as open days at most of the artists’ studios. 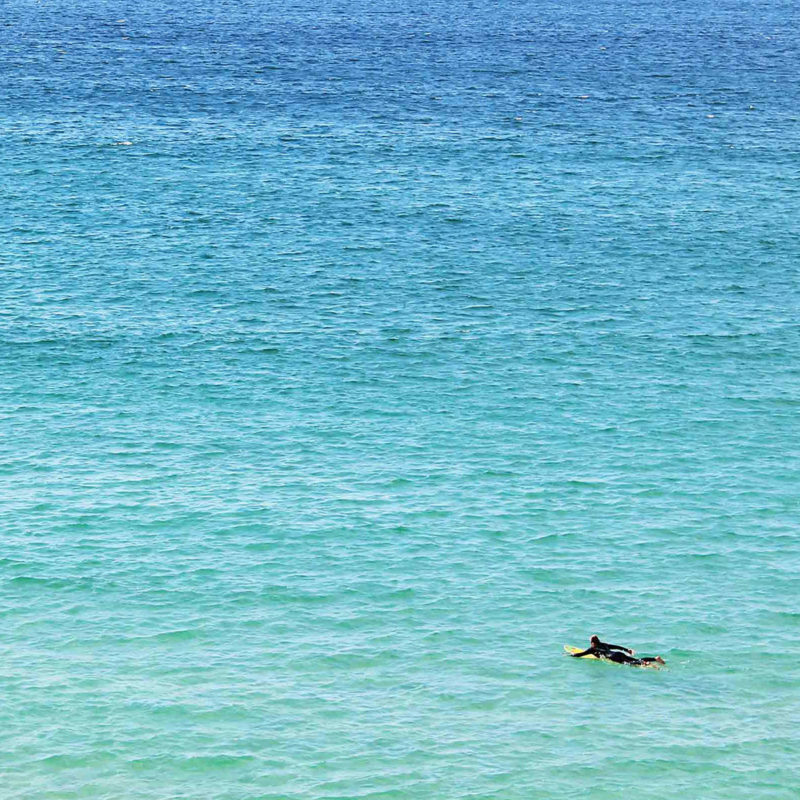 Bring your sandals just in case. 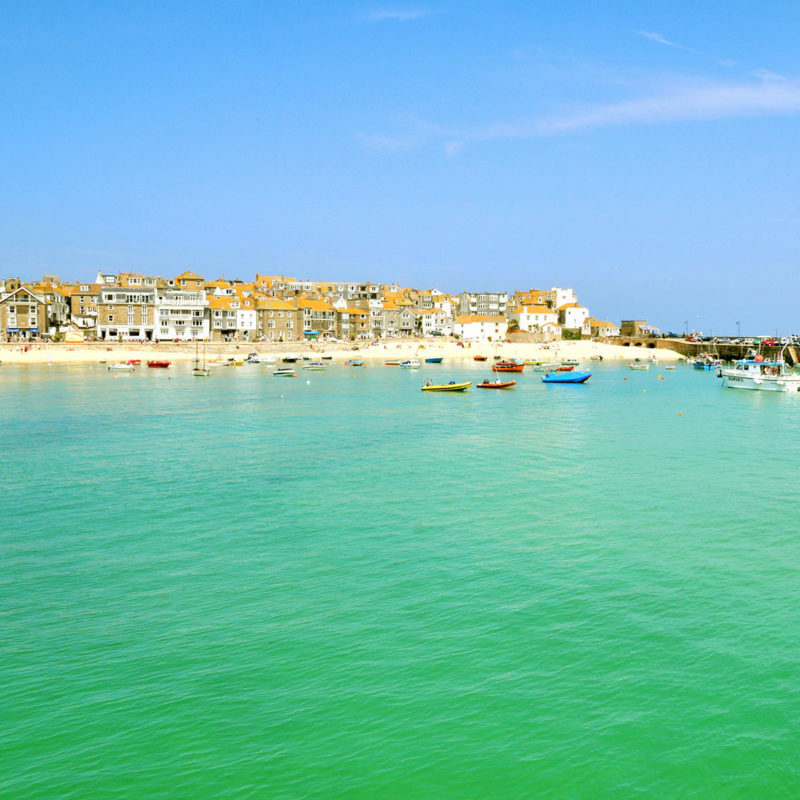 These are mellow months in St. Ives, when the weather can still be surprisingly mild and the holiday crowds are long gone. 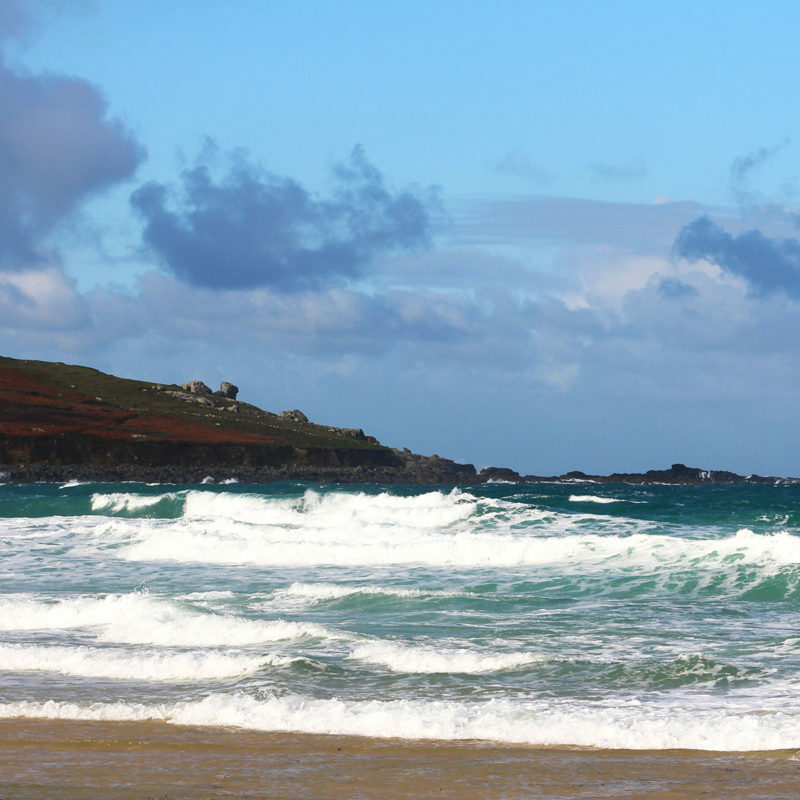 The sea comes alive and it’s a popular time of year for surfers as the water is still comparatively warm and large swells roll into Porthmeor. 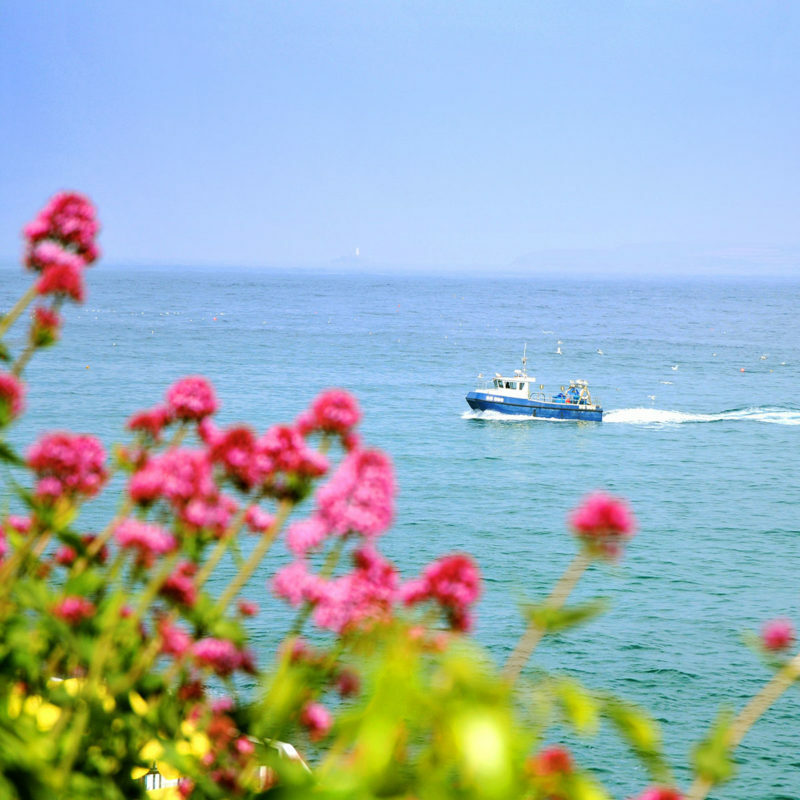 For more information about what’s on at any time of year please do give us a call! 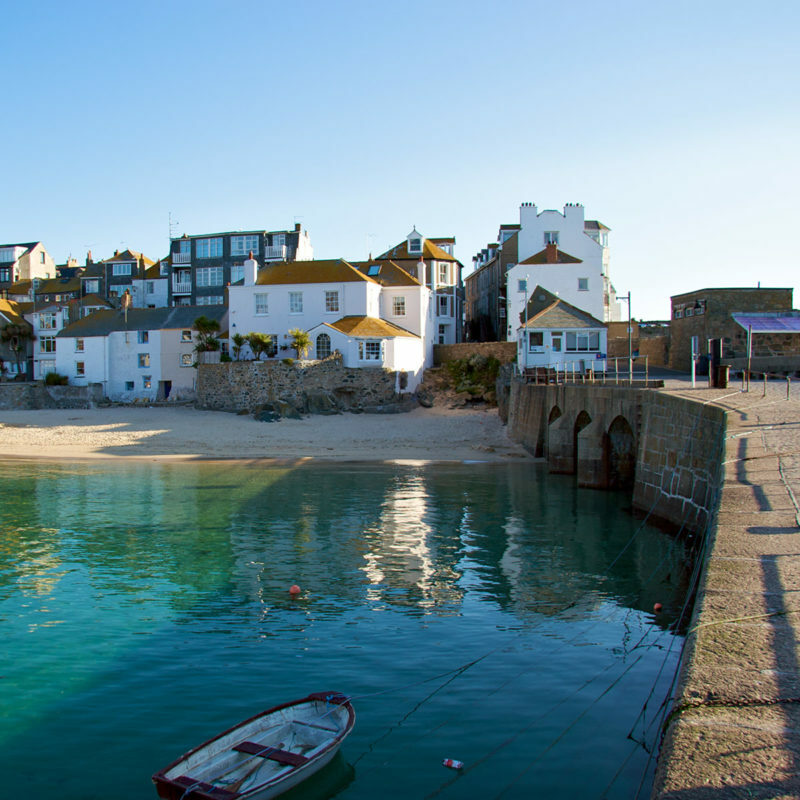 Whilst you’re staying at our St Ives accommodation feel free to pop into the office and we will help you in any way we can. 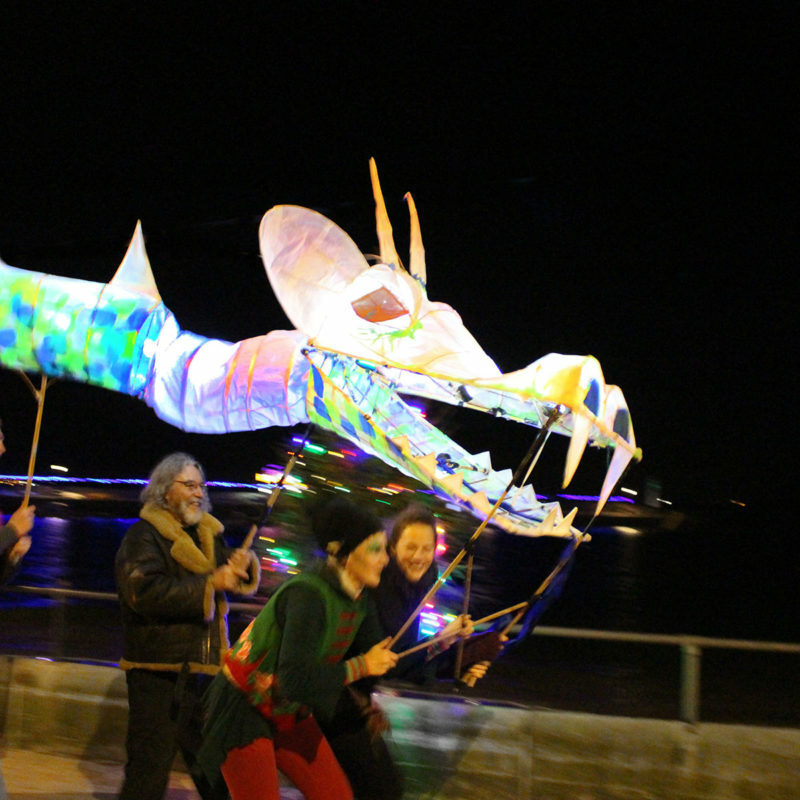 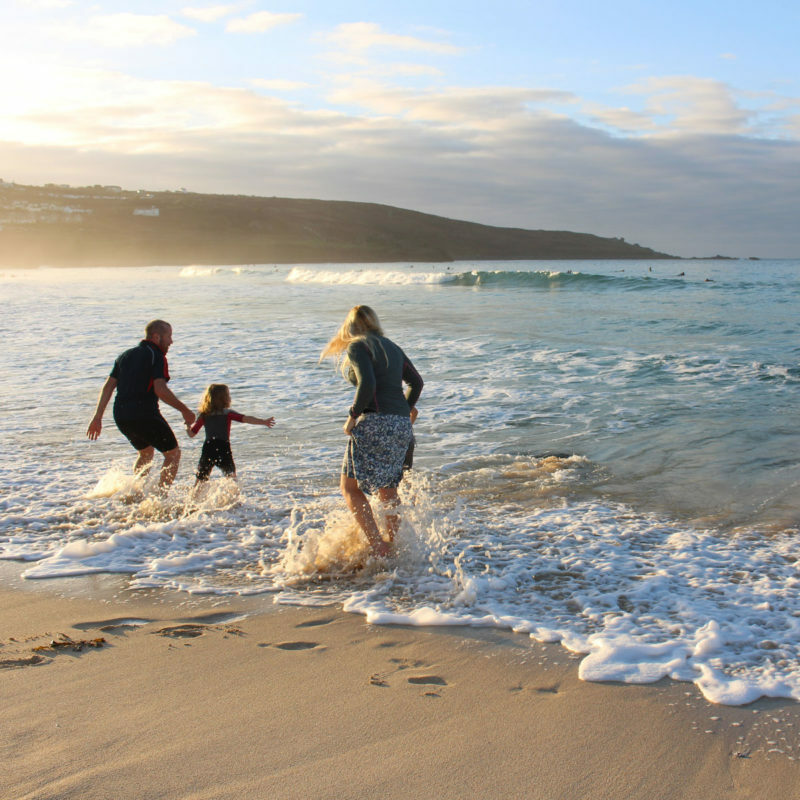 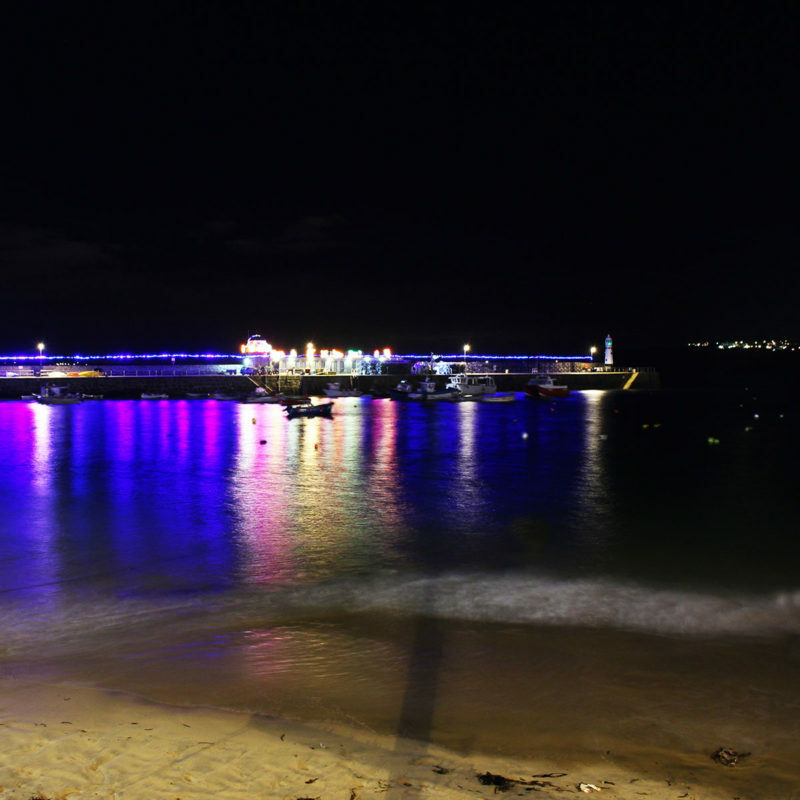 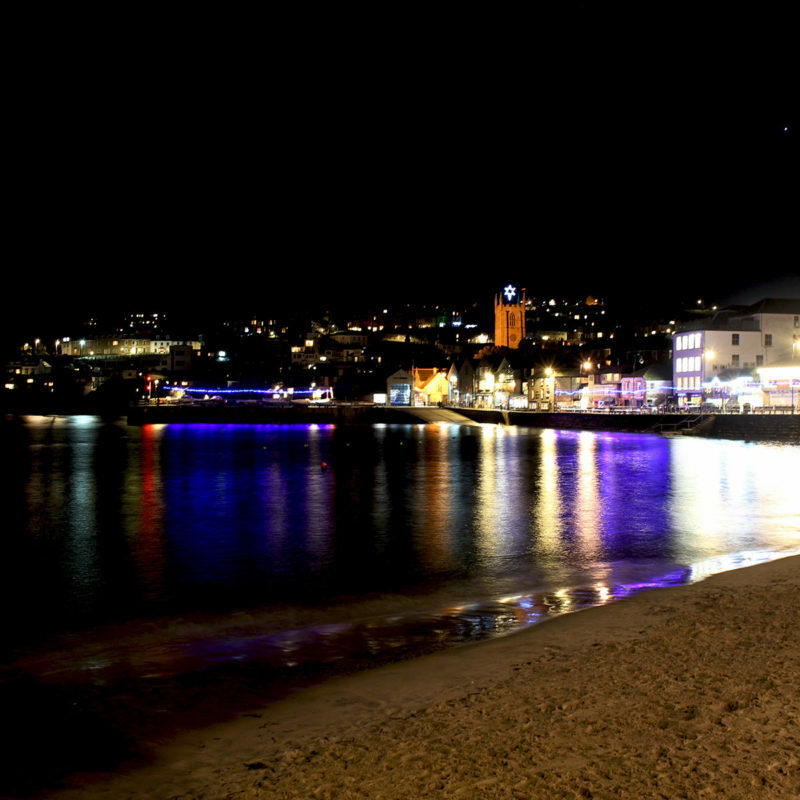 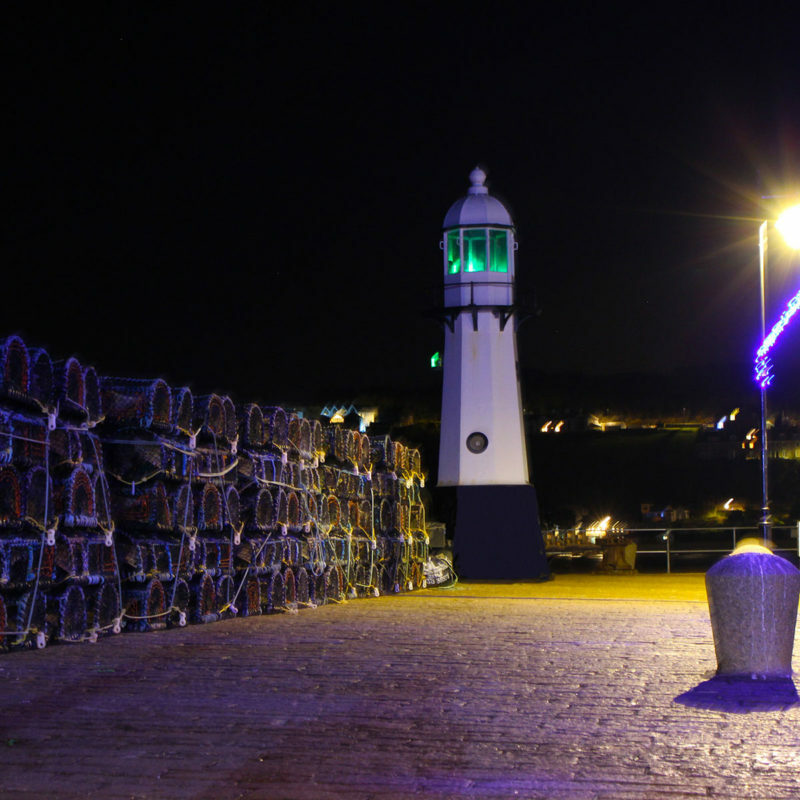 Walk off Christmas dinner on the beach, or join St Ives’ famous New Year’s Eve party when the whole town dresses up in a mélange of costumes and hits the streets to celebrate the new year. 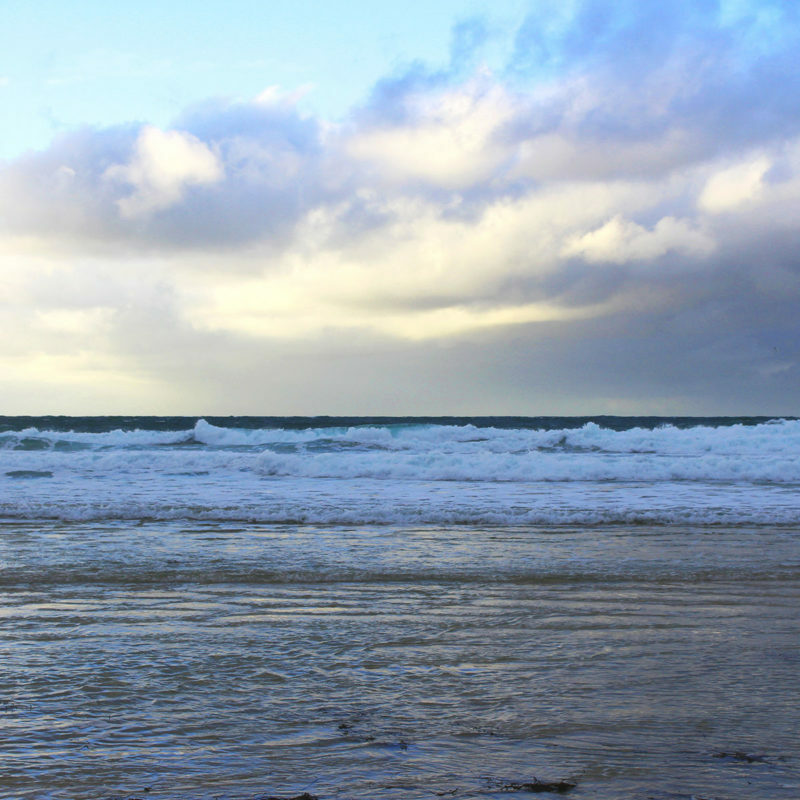 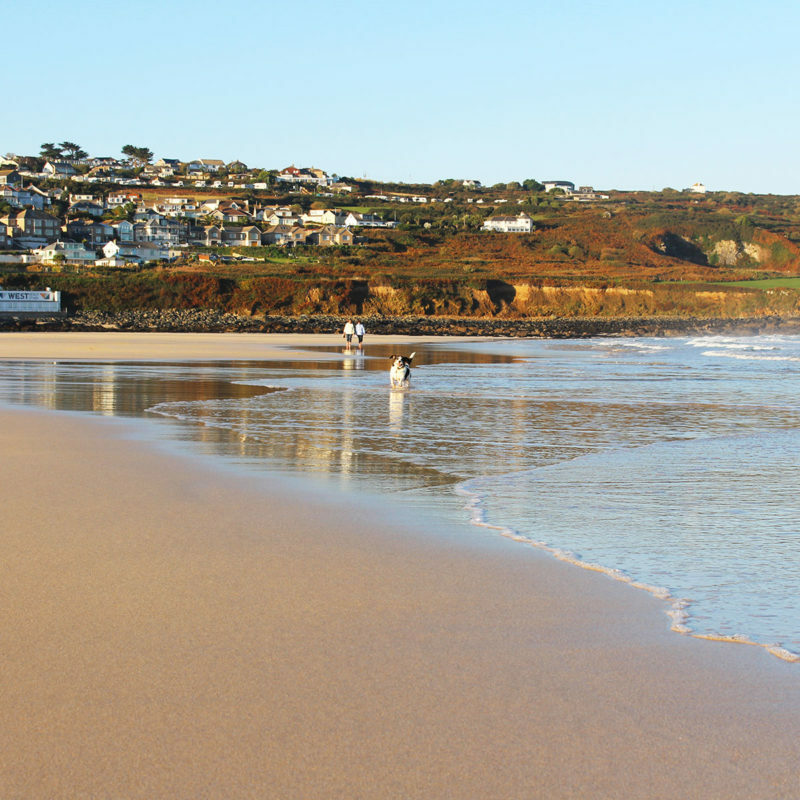 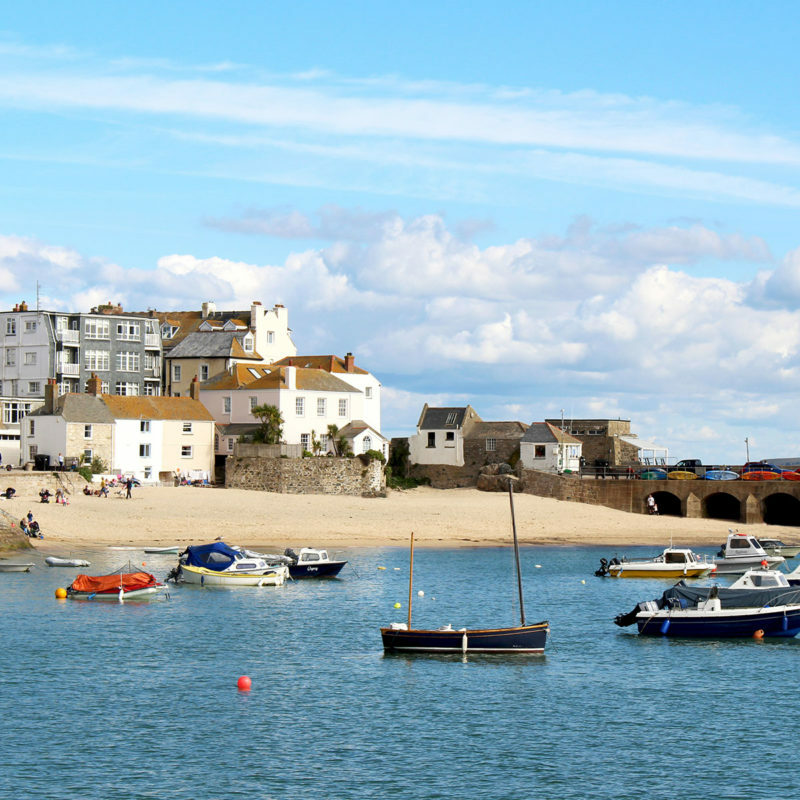 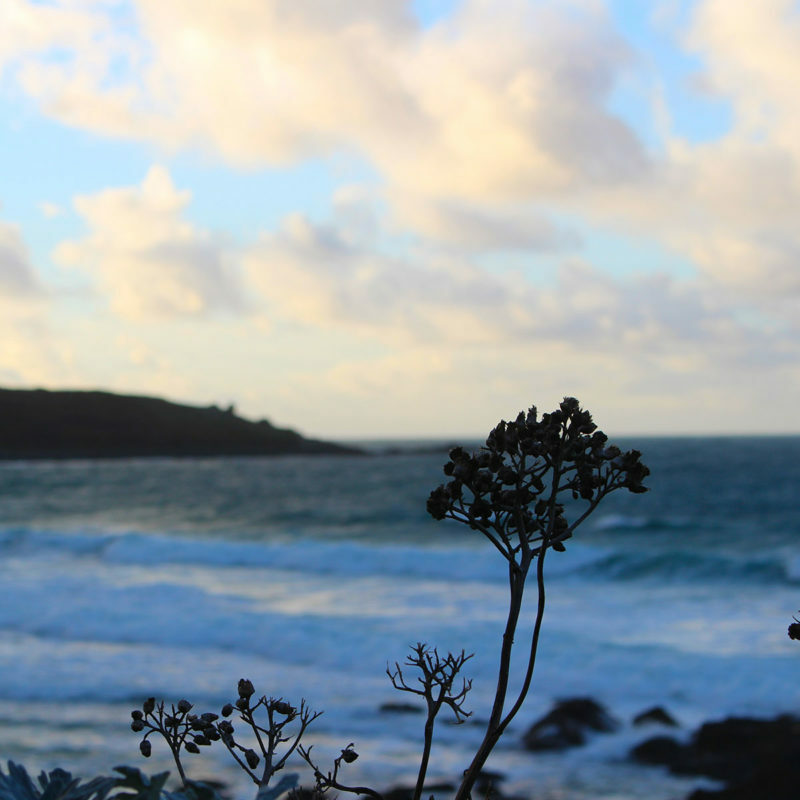 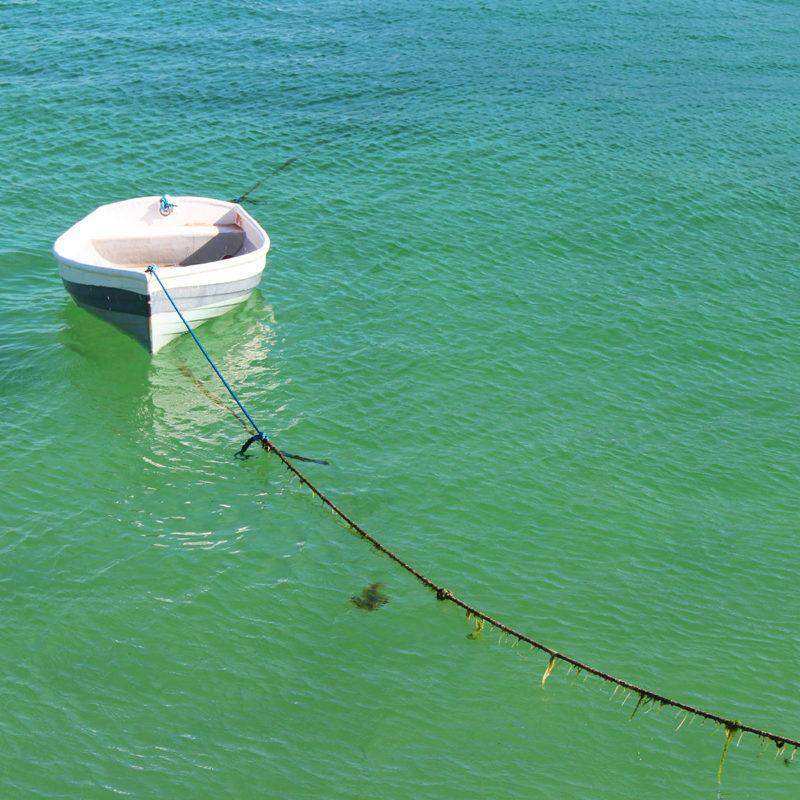 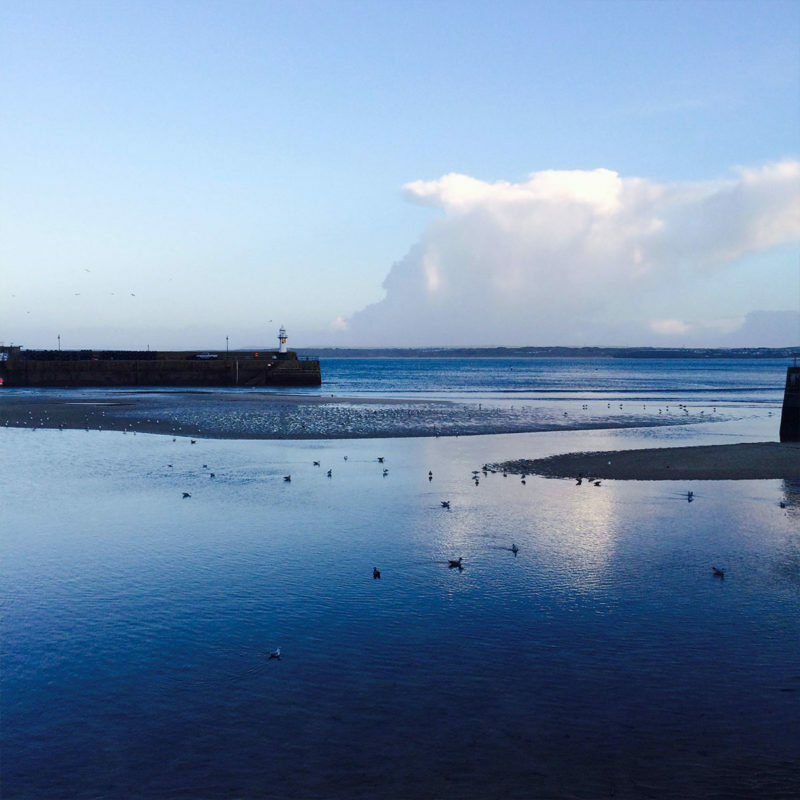 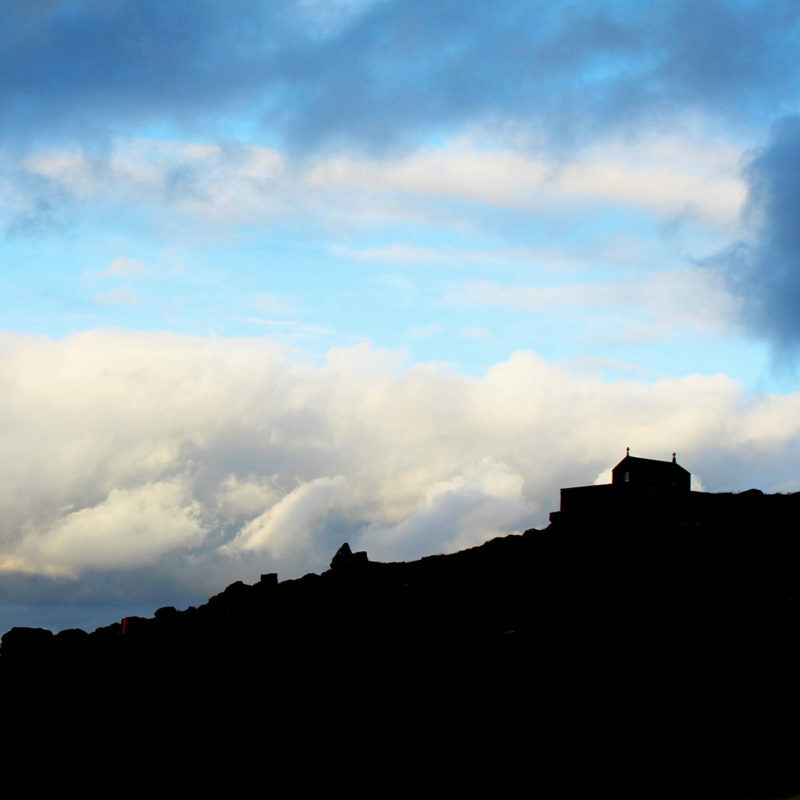 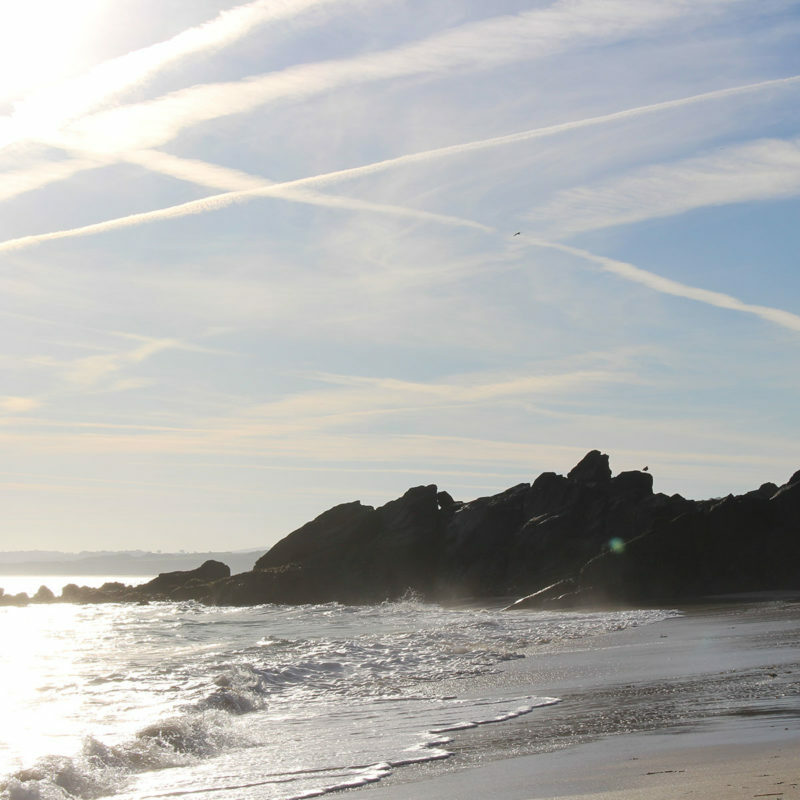 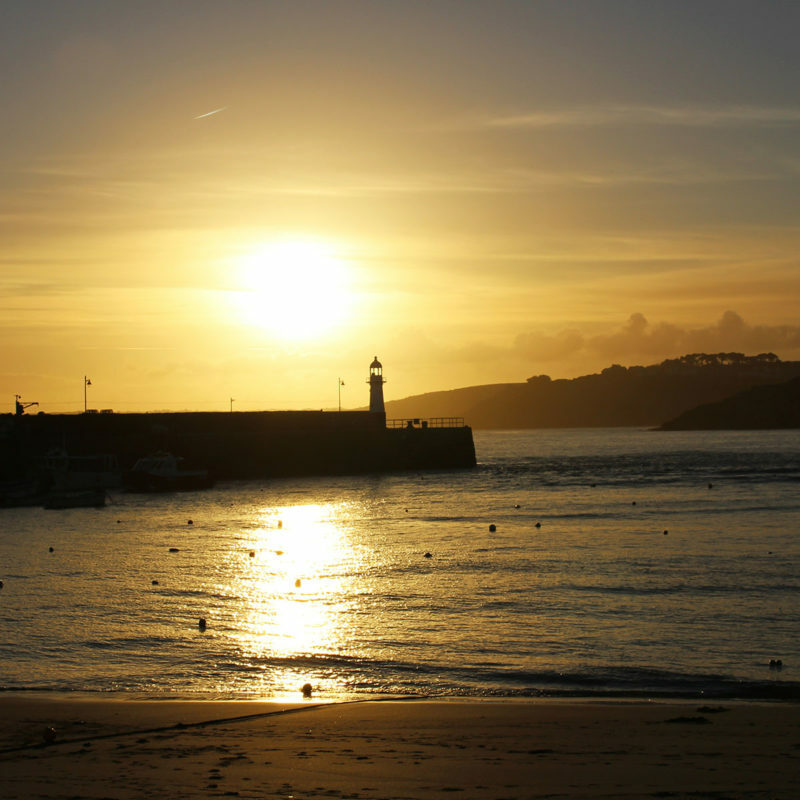 Late January and February are the quietest months in St Ives allowing you to explore the town in peace. 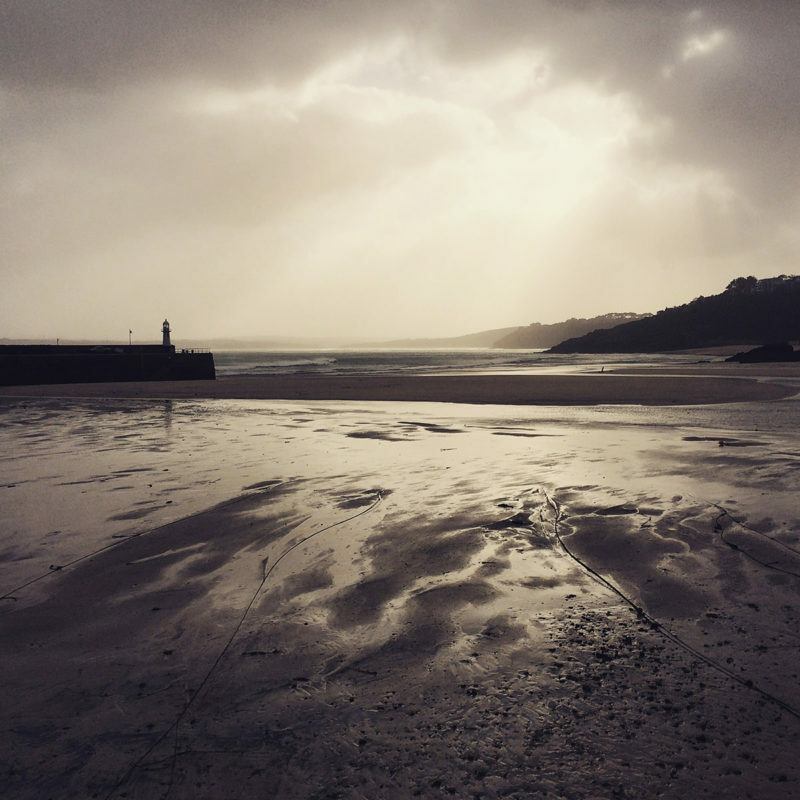 Watch the storms rolling in from the comfort our luxury accommodation or blow away the cobwebs with a stroll along the coastal paths.